Ocean Spray seeks to emphasise the health benefits of its chilled cranberry juice with new packaging in rPET bottles in the UK. The US-based cooperative said the change results in stronger stand out on-shelf than its previous carton packaging. Its Ocean Spray Cranberry Original and Ocean Spray Cranberry Original with No Added Sugar are now packaged in plastic bottles. Ocean Spray said it has “ambitious plans to become a dominant force in the chilled juice category, where the most health-conscious consumers are looking for interesting and nutritious juice solutions”. Caroline Rose, Ocean Spray marketing manager, said: “In chilled juice, growth is coming from premium juice brands which offer a health and functional benefit. Ocean Spray’s unique health benefits give consumers reasons to believe and buy into our brand. “By changing our packaging to modern, distinctive and premium clear PET bottles we can more clearly communicate our strong health credentials and create stand out in the sea of orange and yellow in the chiller cabinet. Ocean Spray said that one 200ml glass of Ocean Spray Cranberry Original “provides 60% of the reference intake of antioxidant vitamin C”. 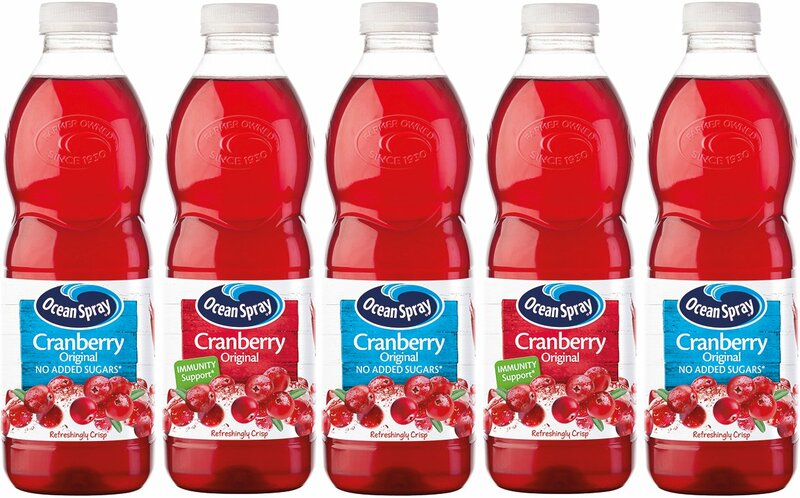 The firm has also changed the name of its Ocean Spray Original Light variant to Cranberry Original with No Added Sugar, which contains 12 calories per 150ml glass. The new 1 litre bottles are now available in UK retailers with a recommended retail price of £2.19.